Last month, on a flight from Oakland to Seattle, I sat next to an energetic, punky, wide-eyed young lady. Her view of the world was full of naivete, optimism and anti-capitalism. She lived for music and she talked about the Gilman Club … a lot. I lived in the SF Bay Area for several years but not being punk, garage, shed or synth-krunk I’d never heard of it. A week later I came across Larry Wolfley‘s photography. As well as photographing at underground shows and East Bay clubs, Wolfley has been a makeshift “house photographer” at the Gilman Club for 12 years. Wolfley recently did an interview with Maximum Rock and Roll. He has a PhD in English Lit from Berkeley, he taught at The University of Nebraska-Lincoln in the seventies, abandoned academia, returned to Berkeley, became a carpenter, had a son, took photos, realised he knew nothing, resolved to teach himself photography, and decided street punks on Telegraph Avenue were a good topic. The homeless punks told Wolfley he had to go to the Gilman Club if he were to understand their culture. 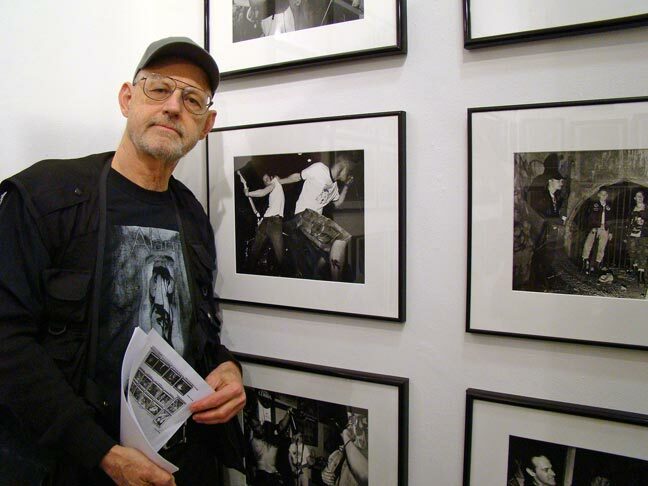 He’s been shooting punk and music gigs since. Wolfley is more than twice the age than the majority of the crowd. All the kids know him, his Canon and his black beanie hat. Just wanted to give a shout out to a local hero whose recognition has been a long time coming. Visit his website. My friend and colleague Matt Shechmeister at Wired’s Raw File just published Life on Lockdown: See-Through Gadgets, DIY Media, No Internet, an article and gallery on idiosyncratic prison technologies. 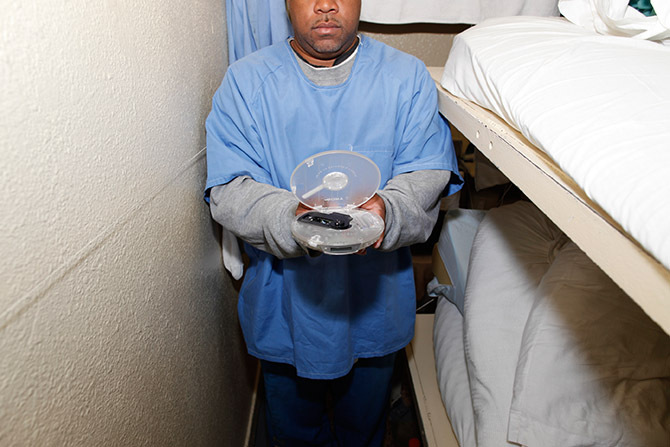 Matt went to San Quentin Prison with photographer Jon Snyder (@jonsnyder) to tour cells and music studios to report on the see-through typewriters, prison-sanctioned music selections and contracted companies all shaping the security-minded tech-culture at San Quentin. Not an angle seen or read very often. Well worth checking out.